But there is another narrative, favored by the government and the pro-Chavista social movements and civil society sectors, which, it is important to stress, are independent of the government. This perspective can loosely be called the economic war thesis. It explains the crisis in terms of the economic and social dynamics at play outside policy and governmental action. It holds that business sectors friendly to the opposition are waging an aggressive and protracted campaign of economic sabotage to deliberately stir up social unrest to destabilize and discredit the governing Chavista bloc and in the ensuing chaos bring about an end to the PSUV government and the installation of a new one made up of opposition parties. The central pillars of the economic war thesis are that these hostile sectors have been engaging in acts such as hoarding and price speculation and have purposely generated scarcity in pursuit of calculated chaos. But though more scholarly research is necessary for a detailed and considered analysis of the myriad factors contributing to Venezuela’s economic situation, it is worth giving the claims of Chavismo a fair hearing. A fuller picture shows that this alternate thesis should not be so glibly dismissed. Take hoarding, for instance. Before Hugo Chávez was elected president in 1998, the economic levers of society were near-exclusively in the hands of a social elite of overwhelmingly light-skinned Venezuelans: the inhabitants of the wealthy neighborhoods of Venezuela’s urban centers and wealthy landowners of the campo. Not only were they in charge of importation, distribution and wholesaling of all manner of goods for the Venezuelan markets, but they also had a stranglehold over the state apparatus needed to profiteer from effective importation in the first place. A central goal of Chavismo was to wrest control of the economic levers from this elite and more evenly disperse it throughout society. The Chávez and Maduro administrations have sought to democratize economic decision-making and predicate it on serving the public interest rather than the pursuit of private profit. Political psychology provides important insights into the socio-economic dynamics of Venezuelan society. In his book, Angry White Men, sociologist Michael Kimmel argues that much of white men’s rage in the United States is the result of privileges that were historically bestowed on them gradually becoming less automatic. As historically disadvantaged sectors gain more opportunities and influence, the change appears to the previously favored group as a great injustice. The same dynamic is evident in Venezuela: an unaccountable elite of overwhelmingly white, Euro-descent Venezuelans hold positions of influence and has had control of many of the important economic decisions. In great part the Chavista movement was based on giving voice to the country’s poor majority, which incidentally is overwhelmingly black, brown, indigenous, and/or mixed race. Hugo Chávez was himself of mixed-race heritage, with European, native Venezuelan, and African ancestry. The mere idea that such a person (or mono, meaning monkey, as the opposition frequently called him) could be president and give voice to the dark-skinned chusma was seen as a veritable insult to the Venezuelan elite. Evidence of such efforts by pro-opposition sectors has not been lacking. Immediately following the opposition victory in the 2015 National Assembly elections, for instance, social media commentators indicated that staple goods miraculously began to reappear on shelves throughout the country. Tellingly, some of the products had expiration dates that suggested that the problem was not with production but rather with distribution, which is largely controlled by the right-wing business elite. By creating this kind of scarcity, the elite were essentially trying to starve the public into rejecting the revolution, a tactic influenced by the United States’ economic blockade against Cuba. When these dynamics are taken in the wider context of Venezuelan politics over the last two decades, they begin to seem less and less ridiculous and more and more plausible. Throughout the period of Chavismo there have been times when these aggressive tactics of economic sabotage have been too obvious to allow for the opposition’s usual equivocation. During the so-called oil strike, for example, opposition forces led by Venezuela’s largest business association, Fedecamaras, orchestrated a nationwide disruption of oil production in hopes that the ensuing economic chaos would destabilize the government and precipitate a coup. Taken in the context of this history of instigated pandemonium, the economic war thesis emerges as at least equally worthy of consideration as its major competitor. The U.S. mainstream media, overwhelmingly owned by large corporations and loyal to their interests, naturally reflects and promulgates the ideological contours of this worldview. Herein lies the explanation for why the debate has been so narrow, so inordinately skewed toward the opposition’s account of the situation, and so disregarding of the complexities and subtleties of the discourse regarding the admittedly tragic and desperate circumstances in which the Venezuelan people find themselves. Please accept this document as a free contribution from COHA, but if re-posting, please afford authorial and institutional attribution. Exclusive rights can be negotiated. 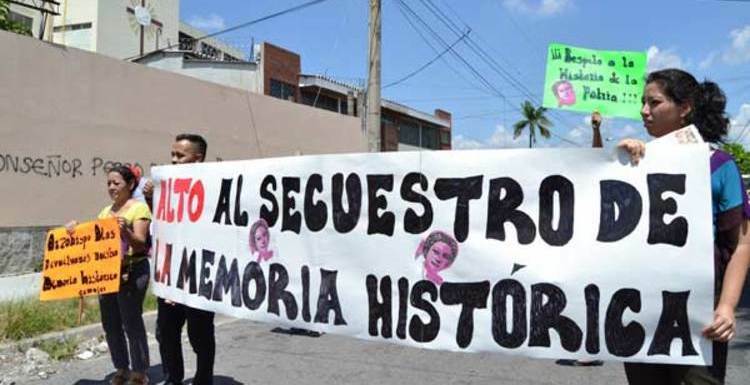 For additional news and analysis on Latin America, please go to: LatinNews.com and Rights Action. Featured Photo: Venezuela Central Madeirense. Taken from Wikimedia. “Small Protests Proliferate in Simmering Venezuela,” The New York Times, accessed March 21, 2016, http://www.nytimes.com/reuters/2016/03/17/world/americas/17reuters-venezuela-politics-protests.html?ref=americas&_r=0. “Venezuelans in the US say their country is worse than 1960s Cuba,” Global Post, accessed March 21, 2016, http://www.globalpost.com/article/6749177/2016/03/21/venezuelans-us-say-their-country-worse-1960s-cuba. “Venezuela’s Political Crisis: Can Regional Actors Help?,” Carnegie Endowment for International Peace, accessed March 21, 2016, http://carnegieendowment.org/2015/11/30/venezuela-s-political-crisis-can-regional-actors-help/im9t. “Venezuela’s Economic Crisis,” The Daily Signal, accessed March 21, 2016, http://dailysignal.com/2015/11/09/venezuelas-economic-crisis/. “Venezuela’s Economic Catastrophe Isn’t About To Happen, It Has Happened,” Forbes, accessed March 21, 2016, http://www.forbes.com/sites/timworstall/2016/02/07/venezuelas-economic-catastrophe-isnt-about-to-happen-it-has-happened/#41880a0a5a1e. “Venezuela’s Meltdown Continues,” Foreign Affairs, accessed March 21, 2016, https://www.foreignaffairs.com/articles/venezuela/2016-03-10/venezuelas-meltdown-continues. Venezuela’s Last Hope, Foreign Policy, accessed March 21, 2016, http://foreignpolicy.com/2015/06/10/venezuelas-last-hope-leopoldo-lopez-maduro/. Angry White Men: A Book Review, Huffington Post, accessed March 21, 2016, http://www.huffingtonpost.com/tristan-bridges/a-review-of-angry-white-m_b_4611216.html. 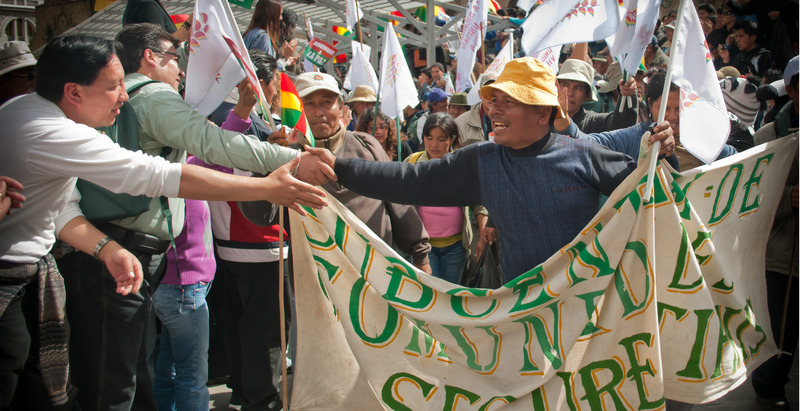 James Petras and Henry Veitmeyer, What’s Left in Latin America? : Regime Change in New Times, Routledge (2016). How Bad is Venezuela’s Economic Situation?, Venezuela Analysis, accessed March 21, 2016, http://venezuelanalysis.com/analysis/11832. 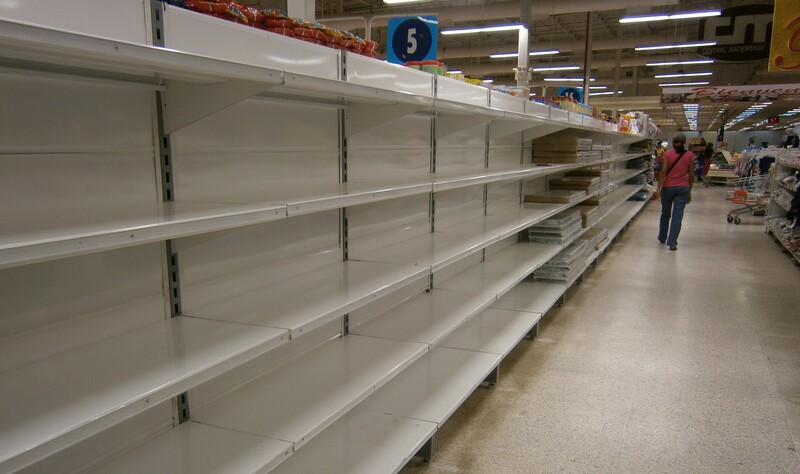 Basic Goods ‘Suspiciously’ Begin to Appear in Venezuela Stores, TeleSur, accessed March 21, 2016, http://www.telesurtv.net/english/news/Basic-Goods-Suspiciously-Begin-to-Appear-in-Venezuela-Stores–20151214-0018.html. “Venezuelan general strike extended,” BBC News, accessed March 21, 2016, http://news.bbc.co.uk/2/hi/americas/1918189.stm. Venezuela Coup Linked to Bush Team,” The Guardian, accessed March 22, 2016, http://www.theguardian.com/world/2002/apr/21/usa.venezuela. “The CIA Was Involved In the Coup Against Venezuela’s Chavez,” Venezuela Analysis, accessed March 22, 2016, http://venezuelanalysis.com/analysis/800. “Revolution, Counter Revolution and the Economic War in Venezuela,” Counterpunch, accessed March 21, 2016, http://www.counterpunch.org/2015/01/27/revolution-counter-revolution-and-the-economic-war-in-venezuela/.